A new political party that has emerged from Spain's protest movement, los Indignados, is running in the upcoming European elections. Named Podemos, which means "We can" in Spanish, its founders say they want to convert indignation into political change. 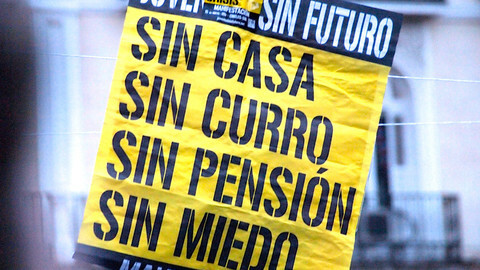 Spain has been hard hit by the economic crisis since a housing bubble burst more than five years ago. While ordinary people have been suffering from public sector austerity, unemployment and house evictions, the ruling class has been mired by corruption scandals. "It is crucial that ordinary people engage in politics. 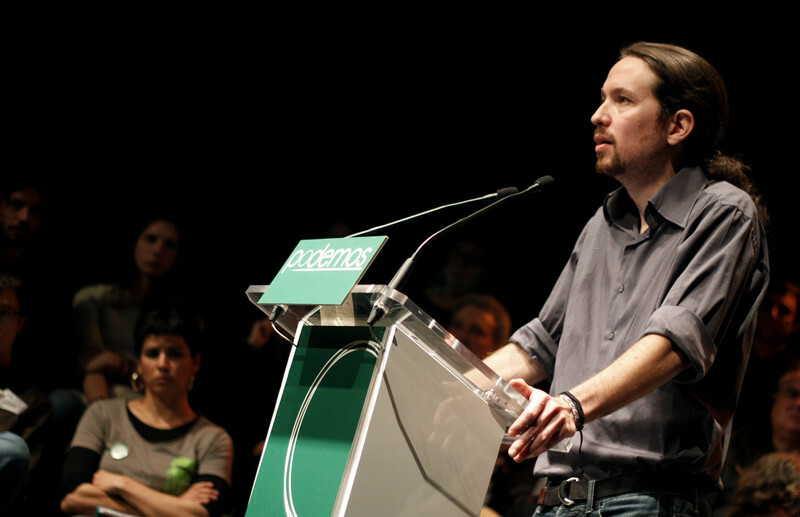 Because when the others [the political elite] are doing it, they are robbing us of democracy, our rights, and even our wallets," says the leader of Podemos, Pablo Iglesias. 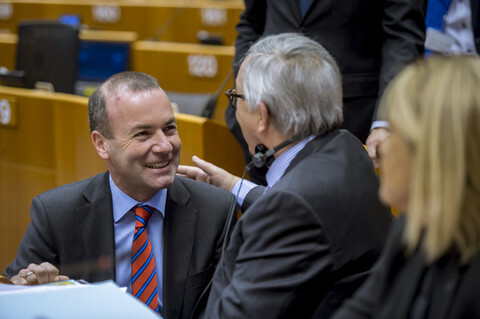 He sees the European Parliament as a good place to join forces with other southern European countries going through painful austerity measures and to start "a cycle of democratic transformation in Europe". "A large part of the decisions that affect the life of people are taken at EU level. This is an adequate platform for the southern Europeans to tell the European Central Bank, the troika, Merkel that we are fed up, that we don't want to be governed by corrupt politicians and we don’t want to be a colony." Iglesias says the problem is not the European Union as such, but the European institutions. 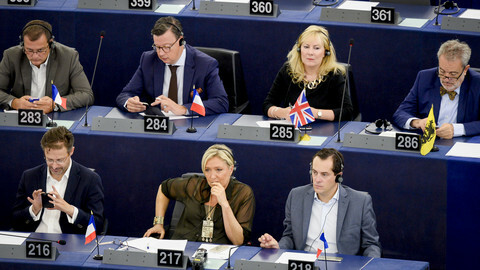 "The European Parliament is the only ​​democratically elected institution and it has very limited powers. Moreover, the MEPs are under the influence of lobbies that nobody has voted for. European Institutions mustn't be in the service of financial powers, but in the service of people," he says. Podemos, which was officially announced as running in the EP elections on 29 April, has generated enormous enthusiasm in Spain. The party collected 50,000 signatures of support within 24-hours and their website crashed due to traffic overload after the project was made public in February. 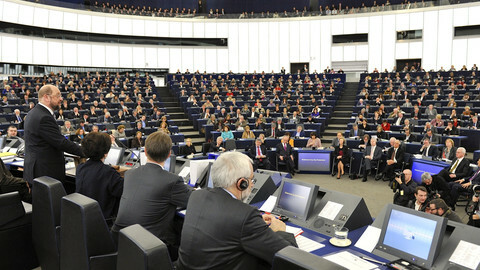 The EU electoral system means that, unlike in Spain's general elections, small and medium-size parties have a good opportunity to turn their votes into seats in parliament. Still, the country's two big parties, the ruling centre-right People's Party and the Socialists, are likely to win most of the 64 seats reserved for Spain. Almost a month before the elections, opinion polls are not giving much chance to Podemos, which is competing with better established small left-wing parties. 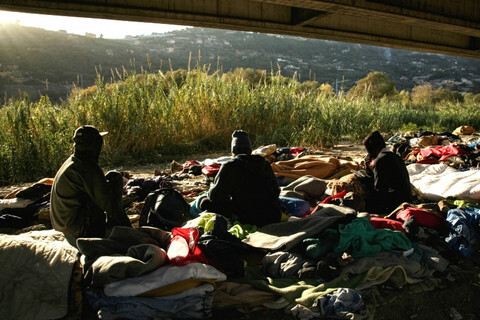 However, Podemos says in its manifesto that "a spark of hope is enough for Spaniards to escape the trap of despair". After testing the ground in the European elections, the party is ready to run in Spain's municipal, regional and general polls next year. 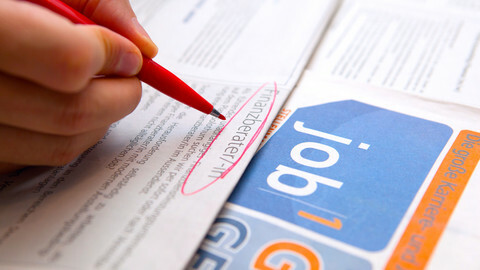 Over two-dozen regions throughout the Union have an unemployment rate twice the EU average. A new right-wing party, Vox, intends to run in the May elections, while Spain's two dominant parties look set for significant losses. A team of academics in Catalonia have come up with a monitoring tool for xenophobic speech, something they say could be used at EU level too. Small predominantly left-wing parties look set to take EP seats from Spain's governing Partido Popular and the opposition socialists. Nevertheless the two main political players are likely to retain some 30 percent of votes each. 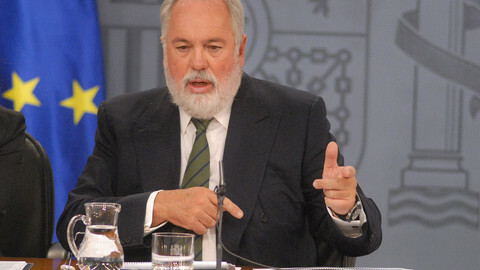 Spain has not yet formally decided who will be the country's next EU commissioner but all eyes are on conservative MEP and former agriculture minister Miguel Arias Canete.